I've been looking for a coffee table for so long. 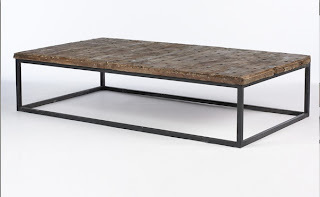 And just now, ironically enough, I found an American website (South of Market), selling French coffee tables that I all love. 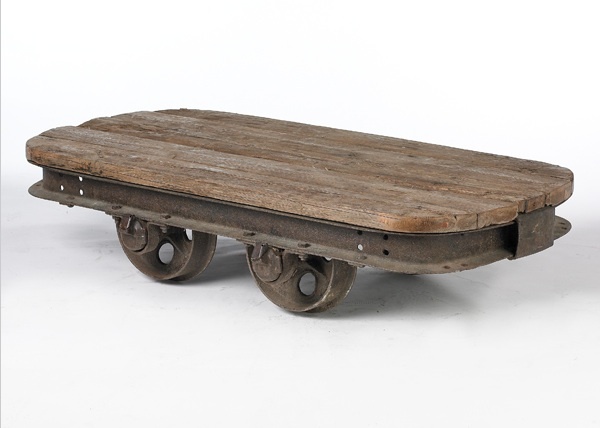 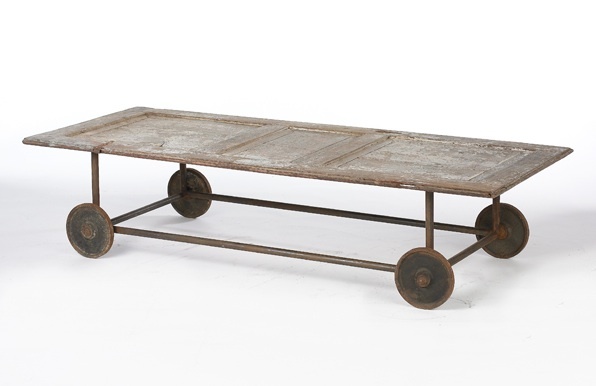 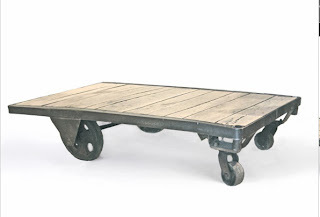 The first one is made out of a 17th century door, the last one is a 19th century door, the second one is a train cart coffee table and the third one is the classical iron industrial cart table.